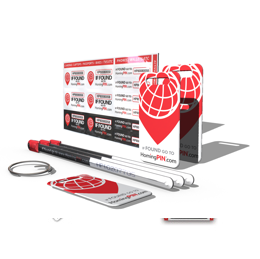 All HomingPIN packs come with your first 12 months membership included. Thereafter a low annual fee is payable of just $9.99 per year per membership. This covers up to 30 items, giving incredible value for money. 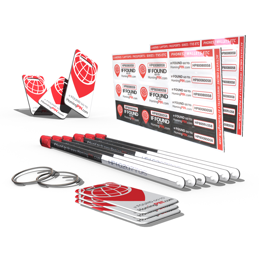 Our Standard Tag Pack includes 3 loops & tags, 1 keyring and 12 asset labels. Our Family Bundle includes 6 loops & tags, 2 keyrings and 24 asset labels. 1.4% of bags are mislaid per trip. That’s 50,000 bags per day! For a family of 5… travelling twice a year that means a 20% chance each year of a bag going missing or being lost. The risk is far higher for flights involving a transfer from one flight to another. Login Already have an account? That’s great, enter your login details below.